It will turn almost any Windows or macOS machine into a WordPress development server. 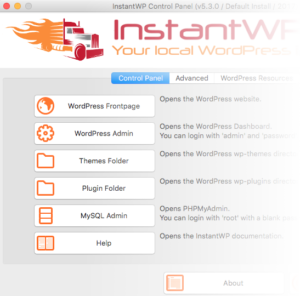 InstantWP is free software, published under the GPL v3 License. Download, unzip and watch a progress bar – in about a minute you have WordPress installed. One button click will launch the local WordPress installation and WordPress Dashboard. One button click will launch an SSH Terminal and log you into the InstantWP Linux Virtual Machine. Manage your InstantWP website via the supplied SFTP client – WinSCP on Windows and Fugu on macOS. 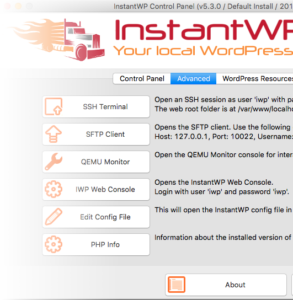 You should also look at the installation page, InstantWP documentation and take a look at some nice InstantWP screenshots.